It is the spring of 1944 and the outcome of World War II hangs in the balance, everything now hinges on an imminent Allied Invasion into France, D-Day. If the invasion is successful the Allies win, if it fails Germany will be the victor.Field Marshal Rommel is convinced a change in strategy and new weapons will stop the Allies, all he has to do is to convince the Fuhrer and The German High Command… before it is too late.Meanwhile, two brothers stand on the opposite side of the channel, each one dedicate to his own particular band of brothers. In occupied France a young German soldier stands alongside his fellow troops, despite his apprehension at what lies ahead he knows he must do everything to fulfil his duties and maintain his honour in the oncoming hell that will be the battle for the beaches.In England an ambitious young GI has completed his training and impatiently awaits the order to embark on the boats heading for the Normandy beaches, knowing that when he disembarks he will be facing the guns and might of the German Army, and haunted by the thought that his own brother is somewhere in occupied France. 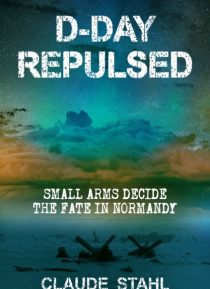 In this exciting historical fantasy novel that explains Rommel's alternative strategy and explores what could have been the outcome if he had won his struggle with his own high command, we experience the daily life and preparations of ordinary soldiers as invasion nears, and through explicit battle scenes, explore the bloody horror of the D-Day invasion through the eyes of two brothers whom fate has cast on opposing sides.